Aluminum Profiles - CEES SMIT, Inc.
Aluminum profiles, covered with printed materials result in the most beautiful creations. With a full metal shop in our 70,000 sqft production facility, all our structures are cut, bent, and pre-built in-house, and all graphics are always pre-fitted to ensure a perfect end result. Our 3D printer enables us to design and produce structures featuring non-standard angles. 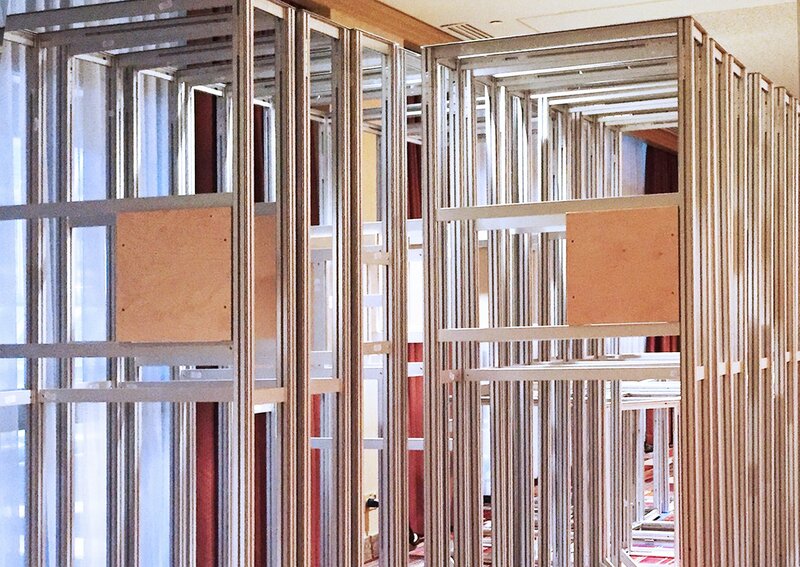 Installation and dismantle of any type of our frames can be taken care of, anywhere around the world. Aluminum profiles are lighter than most other metals, resulting is lower shipping costs. 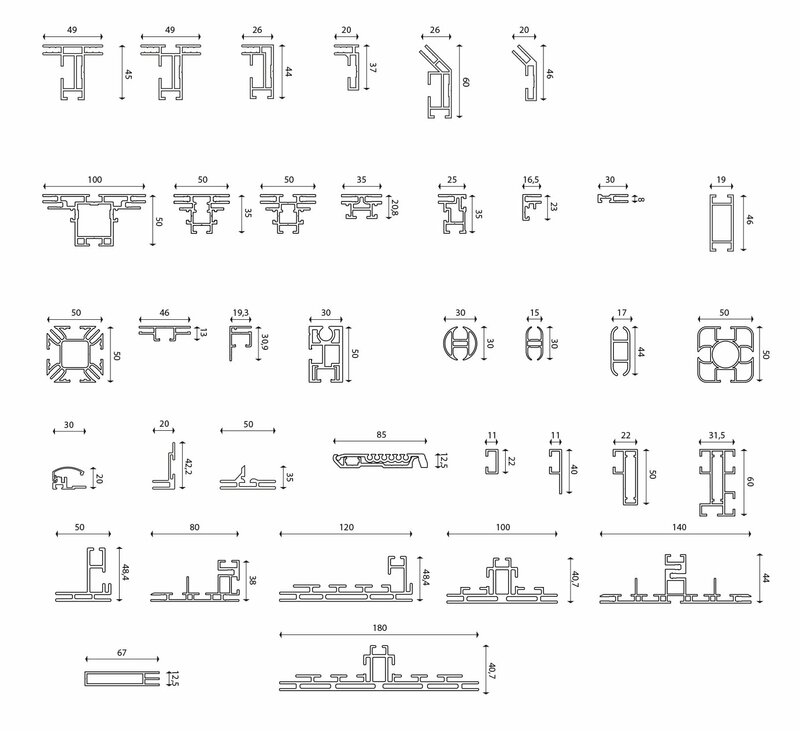 Profiles have been designed in a way to obtain maximum structural integrity. Due to its metal characteristics and the way the profiles are designed, they can be bent as requested. The possibilities are endless, when using aluminum extrusion profiles. From slim single sided wall mounted profiles, to heavy double sided profiles used for large structures, there is no limitation to size or shape.